We designed a concrete fireplace to anchor the great room for a recent home. The owner liked the board form finish provided by lining the forms with cedar boards. It takes some planning and engineering to make one of these central features work out well. In this case everyone involved from the architects, engineers, interior designer, to the contractor and subcontractor worked together and with extra effort to make the final result a beautiful feature. 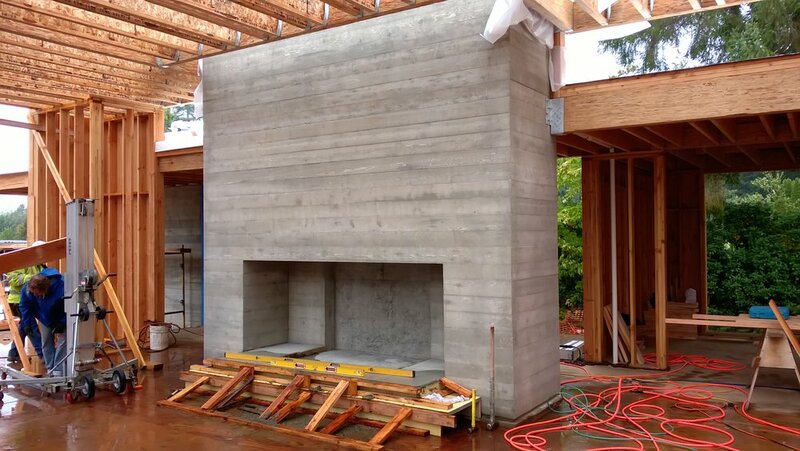 Casting the fireplace requires exceptional work by the concrete subcontractor. It has to work the first time, so the forms are sturdy and the crew is diligent during the pour. Even the concrete mix is carefully crafted to flow well into the forms. The carpenters deserve a huge amount of credit for their expertise and precision in crafting the forms. The forms are stripped and the rest of the construction can proceed. The fireplace is a part of the structure of the building so it is supporting roof beams and rafters. 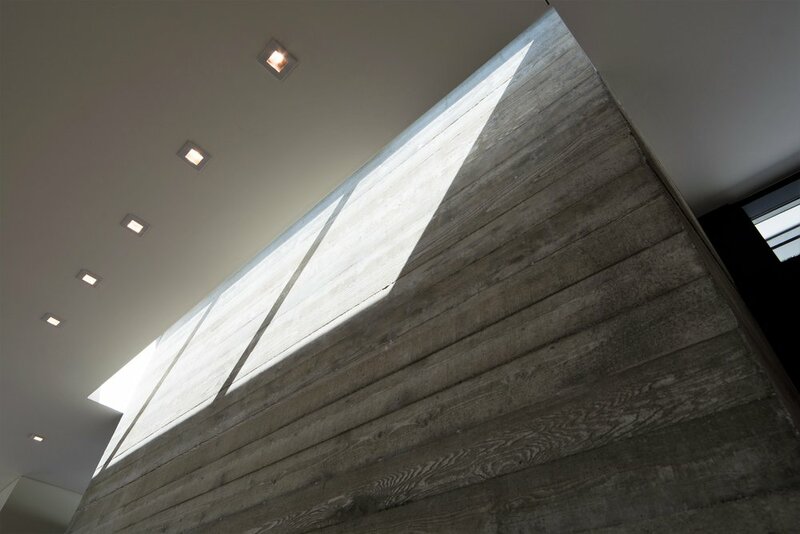 We set a skylight to wash the face of the fireplace with light during the day. Lights also wash it at night. When the sun is just right, the effect of the sun on the concrete is great. Here in its finished form, the fireplace creates a sense of permanence in the lighter room. Exactly what a fireplace is suppose to do.